CHEER-ACCIDENT is clearly the underdog of Chicago. Always unpredictable, always entertaining, but darn hard to pigeonhole. Imagine an indie prog band, an emo band that can laugh at itself, or a band that might get compared to Trans Am or the Champs (but has probably never heard either), or maybe the best bet is to set that blender on "10" and dream about Steely Dan, Chicago (the band) and U.S Maple. 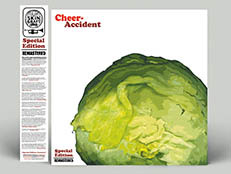 CHEER-ACCIDENT thrills in dissonance and odd chord changes, yet are undeniably A POP BAND. Chicago has had its share of indie giants, like Tortoise, Joan Of Arc, Shellac, The Sea And Cake, Seam, and Don Cab to name a few. Cheer-Accident fits right in among the crevices. But they sneak in the back door, taking things to another level, with songwriting that will make you cry, musicianship that will make you tremble, and the hooks and the looks needed to go down in musical history. 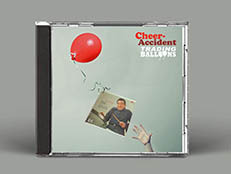 CHEER-ACCIDENT has an eccentric sense of humor that combines a lush pop style with bursts of bizarre changes; at just about the point where you become convinced that any given song could make it on commercial radio, they "blow it" with some left-field turn straight off a cliff. 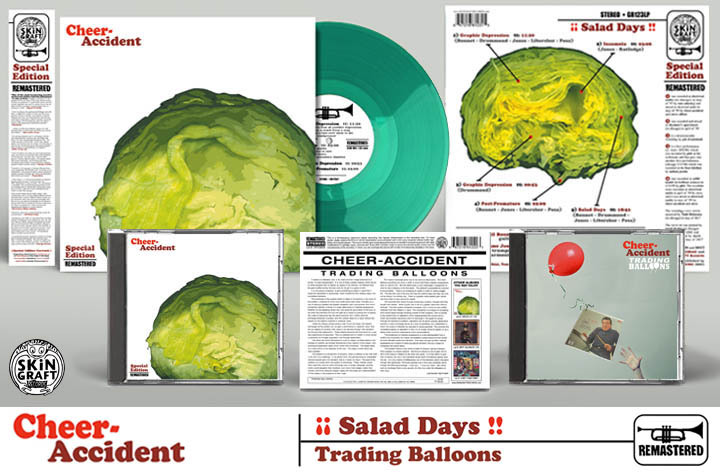 Their latest album, and first for SkiN GRAFT is "Salad Days", a celebration that music is being made at all - A Hi-Fi invitation to the band«s explorations into the dark world of lo fi consciousness (mixed by Steve Albini!!!). Tap in and fell the most rewarding album of the year . Click HERE to read the recent feature on Cheer-Accident from The Chicago Reader. Click HERE to read the Chicago Reader's article on the passing of Phil Bonnet. 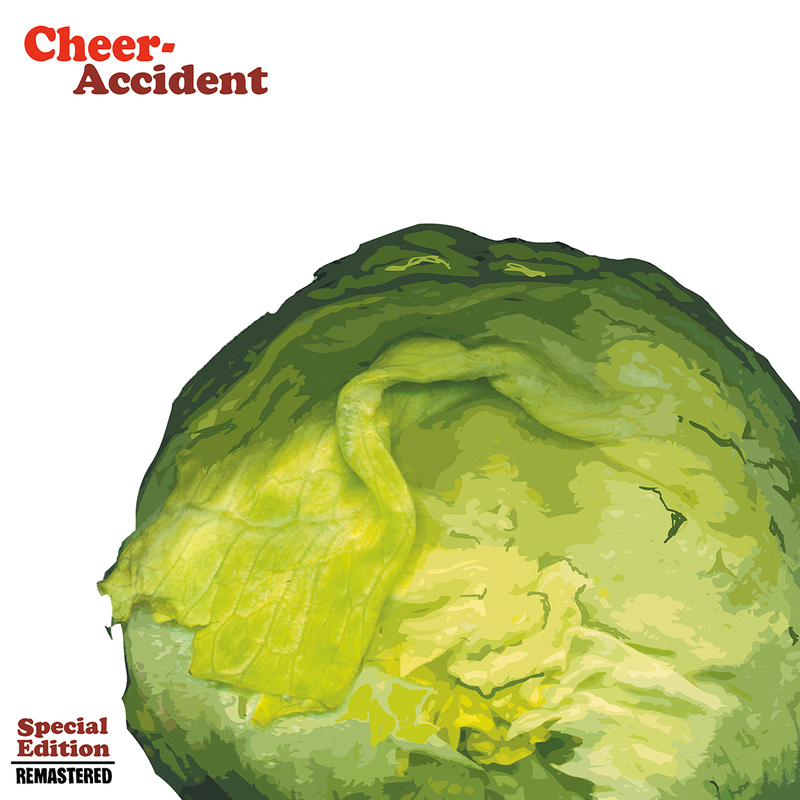 CHEER-ACCIDENT began literally in the first few seconds of 1981 during a New Year's brainstorming party that included Jim Drummond (stream-of-consciousness vocal), Thymme Jones(piano), and Mike Greenlees (drums). For the next five years, the band (which during this time was really a community of up to 10 musicians) refined their aesthetic by recording a number of independently-produced cassettes, including the critically-acclaimed 1986 release, "Life Isn't Like That." The band began making sporadic live appearances in the summer of 1987 featuring a pared-down CHEER-ACCIDENT consisting of Chris Block on bass, Jeff Libersher on guitar, and Jones on drums. In 1988, the trio recorded "Sever Roots, Tree Dies" showcasing an assortment of moods and instruments under the guidance of noted Chicago producer Phil Bonnet. For their next release, in an attempt to capture their harsher live sound, the band turned to internationally-renowned engineer Steve Albini. This successful pairing yielded "Dumb Ask" and ultimately resulted in a multi-album contract with England's NEAT Records in mid-1990. That same year, as a result of the band's growing format, they once again enlisted the services of Bonnet, although this time on second guitar. In June of 1991, the new line-up recorded the band's third LP, "Babies Shouldn't Smoke". A recording that consistently expands the boundaries of rock music while never failing to rock. The same line-up that recorded "Babies" can also be heard on the PRAVDA Records compilation, "20 Explosive Dynamic Super Smash Hit Explosions!" with their decomposition of the "Theme From Shaft". 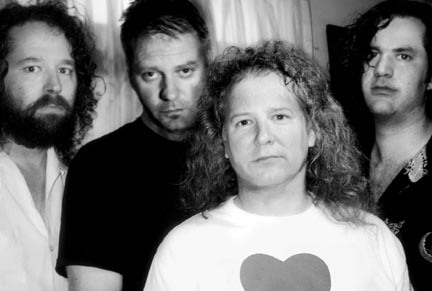 1992 was a year of great productivity-the band's Bassist Chris Block, frustrated by the group's unwillingness to define itself exclusively as a dissonant band, was asked to leave in June. 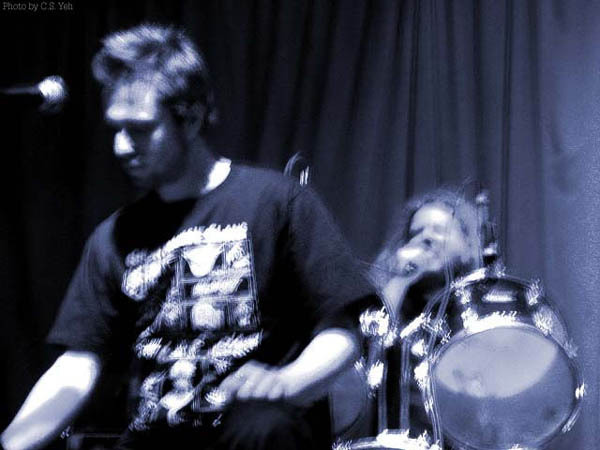 He was promptly replaced by bassist/composer Dan Forden, whose musicianship and strong work ethic led to a very fruitful couple of years with CHEER-ACCIDENT. In addition to performing in the numerous and always-varying live shows, Forden contributed to the 150+ minutes of music that were recorded during that time. In late 1993, CHEER-ACCIDENT (along with pal, Fred Krueger) helped create the cable access show "Cool Clown Ground". In 1994, the show's popularity (to the complete shock of everyone) began to significantly increase. In July, CHEER-ACCIDENT teamed up once again with Steve Albini to record "Not A Food", their 'rock update' with a few decidedly non-rock stumbling blocks. This full-length recording is a very self-assured work -probably their best match -up with Steve to date. In August of 1994, Dan Forden was institutionalized (that is to say, married) and replaced by ex-Flying Luttenbachers member Dylan Posa. In November of 1994, they released their fourth full-length recording, entitled "The Why Album", featuring 14 well thought-out and catchy pop songs. This was the first time that this aspect of the band (though implied on previous releases) had been thoroughly explored in a particular setting. Also in Chicago, Thymme joined up with wondergrrrls, DOT DOT DOT a super duper group combining the talents of Zeek Sheck, Jodi (Duotron) Mechanic, and Kelly (Scissor Girls) Kuvo. At this point, Cheer-Accident's live shows had become quite treacherous--much more visceral and much more dynamic: Dylan had brought a decidedly unbridled Kinetic energy to the mix, sending the band further in the areas of exploratory noise and pointless theatrics. In April of 1997, they came out with their second Pravda recording ("Not a Food" was released in '96), entitled, "Enduring The American Dream". This full-length, their sixth, is a densely structured 72 minute work which utilizes a variety of instruments and musical approaches while retaining a cohesive aesthetic integrity. Certainly their most ambitious endeavor up to this point, "Enduring" was recorded over a five-year period and contains fourteen pieces that range from lo-fi pop to carefully constructed noise collages to extended form rock compositions. After recording their 52-minute song, "Trading Balloons" in May of '97, the band retreated deeply into it's own psyche, practically drowning in id vomit. This "id vomit" is rather hard to describe in musical terms, but let's just say that it's the psycho-acoustic equivalent to a squashed bug's insides oozing out as it slowly dies. There is something decidedly organic about this aspect of the band, almost as if the sound taking place is a necessary by-product of the life and death process. From the summer of 1997 to the fall of 1998 there were long stretches of time where it looked like CHEER-ACCIDENT would never "rock" again. 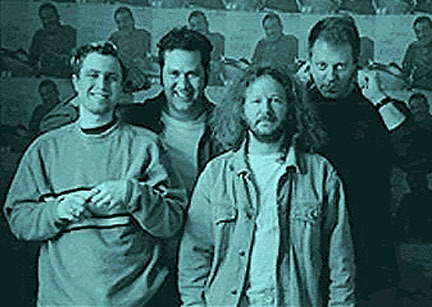 However, on September 23, 1998 at Lounge Ax (with The Bells and The Flying Luttenbachers), they whipped out one of their patented (and ever-improving) "all over the map" heavy prog shows, signaling to the world that they were "back". On Friday, January 22, 1999, CHEER-ACCIDENT performed a rhythmically aggressive and sonically relentless show at the Dekalb punk venue, Seven Dead Arson. During the song 'Garbage Head", Phil, instead of his usual "wailing' guitar solo, whipped out a harmonica and "remembered the blues" to the complete shock of everyone in attendance (including fellow bandmates). It was a brilliant, spontaneous, and truly memorable comedic moment. Sadly, this was to be his final performance. Less than two weeks later, on February 2, 1999, Phil died, leaving the band (as well as a large part of Chicago's musical community) stunned: Not only a vital member of this uniquely synchronized band, and not only an extremely-hardworking engineer adored throughout chicagoland, Phil also happened to be an uncommonly genuine human being, a person whose integrity was wholly unmatched. Paralyzed by the loss of this man who was in possession of an encyclopedic knowledge of rock, a perfect pop sensibility, and an eerily intuitive knack for harmony, CHEER-ACCIDENT was forced to seriously question it's future. On an early spring of '99 day, Jeff, Thymme, and Dylan took a long walk on the north side of Chicago to discuss whether or not they desired to still exist as a band. They concluded that, although Phil was irreplaceable, they would continue on in some capacity. Step one of "continuing on" turning out to be the completion of "Salad Days", a recording they had begun literally the day before Phil died. Though there was some trepidation in heading back to the studio in April, these overdubbing sessions (graciously engineered by Steve Albini at a reduced rate) turned out to be exactly what the band needed. The mixdown (which included material recorded back in '97) went extremely well, and they had a finished full-length by the middle of May. It seemed as though some momentum had returned to the band much more quickly than they would have imagined. This, however, proved to be an illusion. Step two of "continuing on" turned out to be... not much. Practices were few and far between and the overall morale was low. As denial and delusion fell away, and everyone began to fully feel the effects of Phil's absence, the summer of '99 became one big "What's next?" On a late summer night at Athens Cafe (in Chicago's Rogers Park) Thymme (over an Italian beef and cheese fries) was telling his friend of four years, Jamie Fillmore, all about CHEER-ACCIDENT's current woes--how they felt that they still had some things to contribute to the planet, but how they seemed to be missing a necessary component that would allow them to "turn the page". Jamie was quite sympathetic to the situation and (he, himself, a fine musician) offered his services, should the occasion arise. Well, one thing led to another, and by September Jamie was a full-fledged member. Not only does Jamie possess a keen musical sensitivity to go along with a formidable technical prowess, he fully understands (and involves himself with) the "extramusical" aspects of the band (in other words, donÕt expect the tendencies toward the abstract or idish to end anytime soon!). It was immediately evident that the chemistry between Jeff, Thymme, Dylan, and Jamie was something special (Jamie already having been immediately familiar with much of CHEER-ACCIDENT's history and "way of doing things" didn't hurt), paving the way for a spirited return of a high level of productivity. His first performance with the band occurred on Friday, January 7, 2000 (one of the final Lounge Ax shows, which also included The Flying Luttenbachers on the bill), where they performed an evening's worth of (what else?) Christian songs and homemade id vomit spirituals. 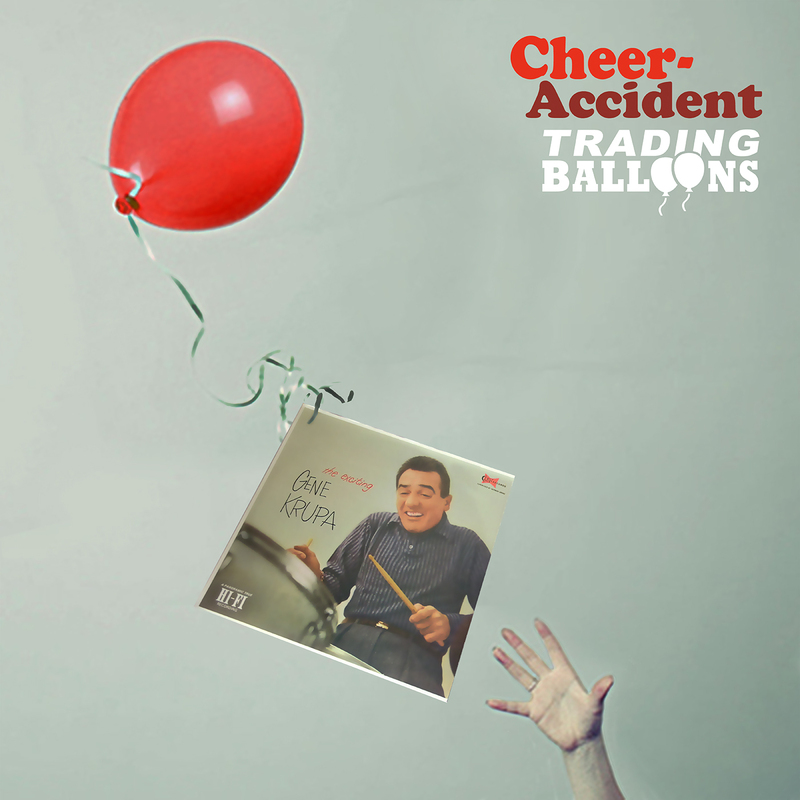 The dawn of the new millennium found CHEER-ACCIDENT with the self-released "Trading Balloons" (the aformentioned 52-minute song...with a 15-minute rock anthem ending! ), a steady stream of live shows, and their latest triumph "Salad Days", their first recording for the tenacious Skin Graft label. Soon after tha band rleased the first in a proposed series of home recordings "Variations On A Goddamn Old Man" for Pravda Records. Now the band has completed a 60+ minute soundtrack for a new "Gumballhead The Cat" Comic Book penned by cartoonist Rob Syers and has put the finishing touches on their next LP "Introducing Lemon"! Stick around... 'cause who knows what's gonna happen next!